My friend Dr. Jonny Bowden's got this all figured out. Find out below in this guest post, just how manipulated us consumers are by big (food) business. You won't believe this! Suppose for the moment that you are a manufacturer of little yellow snack cakes with a creamy filling inside. The "recipe" calls for tons of hydrogenated oil or partially hydrogenated oil, both of which are trans-fats. In the past, this manufacturer could easily get away with using all the trans-fats he wanted. 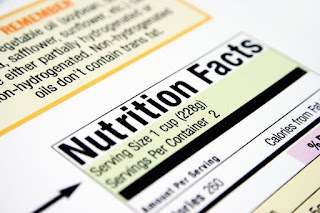 After all, there’s no listing for trans-fats on the label, and for a long time most people didn’t know that partially hydrogenated oil was the definition of trans-fats. But now people are paying attention. Recently, the government finally declared that manufacturers now have to list trans-fat content on the label, and the public is generally now aware that trans-fats are absolute poison. First, the food companies lobbied the government to soften the regulations covering the no-trans-fats legend on a food product. This lobbying produced instant results—the regulations allow you to say "Zero Trans-Fats" if a product contains less than a half-gram of trans-fats per serving. lot more than that legal .4 grams! Make the serving size something only a gnat would recognize as a serving. By the way, manufacturers do the same thing with sugar. sugar than you want to. This may sound like it’s not a big deal, but it is. One "heart healthy" margarine that played the trans-fat trick contained .4 grams per "pat," but the pat sizes were ridiculously small. Anyone adding a reasonable amount of this "healthy" margarine to various foods during the course of a day could easily wind up scarfing down 3–5 grams of trans-fats, just from the margarine. Remember, the ideal amount of trans-fat consumption for human beings is zero! low-calorie cookie that "only has 90 calories" is actually considered to be four servings. A "single serving" box of orange juice often turns out to be 2.5 servings. I’ve seen regular old muffins from the bakery that, when you examine the label, turn out to be three "servings." • A loaf of bread that claims to have "25% fewer calories per slice" may actually be sliced 25 percent thinner than the regular bread. What’s more, the low-calorie claim may allow the manufacturers to sell it for a higher price. • Even coffee creamers, for example, may contain 30–40 percent fat, but by defining the "serving size" as a teaspoon, manufacturers can round off the fat to zero, even though one teaspoon of creamer in a cup of coffee would barely change the color. This kind of thing is standard operating procedure in the world of food marketing. It fools everyone—except it won’t fool you again now that you know what to look for. 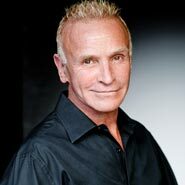 Jonny Bowden, PhD, CNS, (aka "The Rogue Nutritionist") is a nationally known expert on weight loss, nutrition and health. He is a board-certified nutritionist with a master’s degree in psychology and the author of nine books on health, healing, food and longevity including two best-sellers, The 150 Healthiest Foods on Earth and Living Low Carb. A frequent guest on television and radio, he has appeared on Fox News, CNN, MSNBC, ABC, NBC, and CBS as an expert on nutrition, weight loss, and longevity. He is a past member of the Editorial Advisory Board for Men’s Health magazine, is the Nutrition Editor for Pilates Style, and is a regular contributor to AOL, Vanity Fair Online, Clean Eating Magazine, Better Nutrition, and Total Health Magazine Online. For more about Dr. Jonny visit: www.jonnybowden.com.